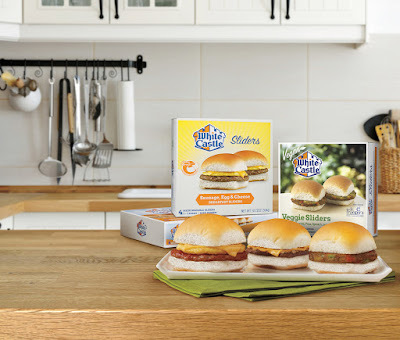 White Castle® Celebrates National Slider Day In Restaurants And Grocery Aisles Across The U.S.
On May 15, White Castle announces slider coupons for all Cravers and retail product expansion. COLUMBUS, Ohio, May 14, 2018/PRNewswire/ -- On May 15, White Castle invites Cravers to celebrate National Slider Day in restaurants and grocery aisles across the country. As the holiday's official sponsor, White Castle expects to give away thousands of free sliders in nearly 400 restaurants throughout the day. Cravers far and wide can also celebrate with a new line of microwaveable breakfast and veggie sliders, now available in frozen food aisles nationwide. "We created National Slider Day as an annual celebration for The Original Slider® and the loyal Cravers who have spent their time with us over the past 97 years," said Jamie Richardson, vice president at White Castle. "In addition to deals for our fans, we're taking it up a notch this year by increasing availability and variety for hungry fans all over to meet their Cravings any time of day." Cravers can join the celebrations with friends and family though coupons distributed on National Slider Day. An exclusive in-restaurant offer for any free slider (excludes doubles and waffle sliders) and a small Coca-Cola Freestyle beverage will be shared via email and social media. Cravers visiting restaurants will be able to give back with the purchase of White Castle scented candle for $10, while supplies last, with 100% of the net proceeds going to Autism Speaks. A special coupon for email subscribers on May 15 will grant $1.00 off any four-pack or larger of frozen sliders in grocery aisles. White Castle's new breakfast and vegan-friendly retail sliders add to a full line-up of microwaveable sliders, enjoyed in minutes. The newest breakfast options include four-packs of the Turkey Sausage, Egg White & Asiago Sliders featuring turkey patties from Butterball®; the Sausage, Egg and Ghost Pepper Cheese Sliders; and the Chorizo, Egg and Smoked Gouda Sliders. Cravers can also enjoy White Castle's popular vegetarian menu items at home with the addition of the four-pack Veggie Sliders and Black Bean Sliders to frozen food aisles, featuring Dr. Praeger's® slider patties. In 1987, White Castle first launched its frozen Slider products, becoming the first fast-food restaurant to offer its menu items for preparation at home and allowing every home to become a Castle. Recently, the chain announced the expansion of its popular retail cheeseburger sliders into Walmart grocery stores across Canada. "We pride ourselves in the variety of menu options our Cravers have to choose from, and we're always looking for new ways to reach more hungry fans," said Richardson. "We're really excited to further meet our customers anytime and anywhere with our new retail options and we hope everyone will have the opportunity to bite into a slider on National Slider Day." 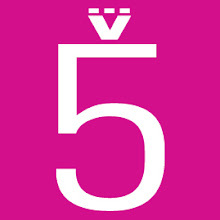 For more information, or to find a restaurant or retail location near you, visit http://www.whitecastle.com.